Our repair shop in Artesia uses the latest diagnostic technology to get you on the road safely and quickly. Check out our gallery to see some example of the work our ASE certified technicians carry out! At Jasper's Auto Service, located in Artesia, is dedicated to providing professional customer service and automotive repairs. Whether your car needs major auto repairs, or just an oil change, our goal is to provide our customers with honest, quality service in a timely manner. We believe our customer’s needs and satisfaction come first. We are committed to maintaining highly ethical and sound business practices in order to meet and exceed our customer’s needs in general auto repair. “I've dealt with Pete and his crew for years and have always been treated fairly. I can trust sending my wife to Jaspers and have them take care of her fairly. “Found this place on yelp. 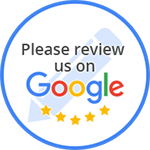 “I visited this place for the first time July 3, they were recommended to us by our regular mechanic...Jasper's did such a good job, we might not go back to him. “I used to take my car and truck to a shop by my house but I would always feel as if I was getting ripped off and taken advantage of. A friend of mine recommended Jasper's and now it's my go to shop! It's very clean and well maintained. Staff is very friendly and welcoming, you can tell they take customer service seriously. Techs are all certified and knowledgeable. They never push you to do anything unnecessary like other shops do. “If you want honest, fast, friendly and expert service on you car, go to Jasper's!